My daughter is Shopkin obsessed, so I thought it would be a great idea to brighten the day of some children with these cute rocks! I thought they would be super-easy to paint, but they super weren't. Don't look too close at some of them, since I had do redo certain areas multiple times. We hid the majority at a local playground, and I was able to spot one of them being picked up. My children were quite upset that they didn't get to keep them! To be honest, I had a hard time letting them go myself. You just never know if you will see them again. LOL! It is totally up to the finder to post pictures of them. Kindness rocking is mostly for the joy of the recipient, but there is also joy when you see the rock you made found by another. 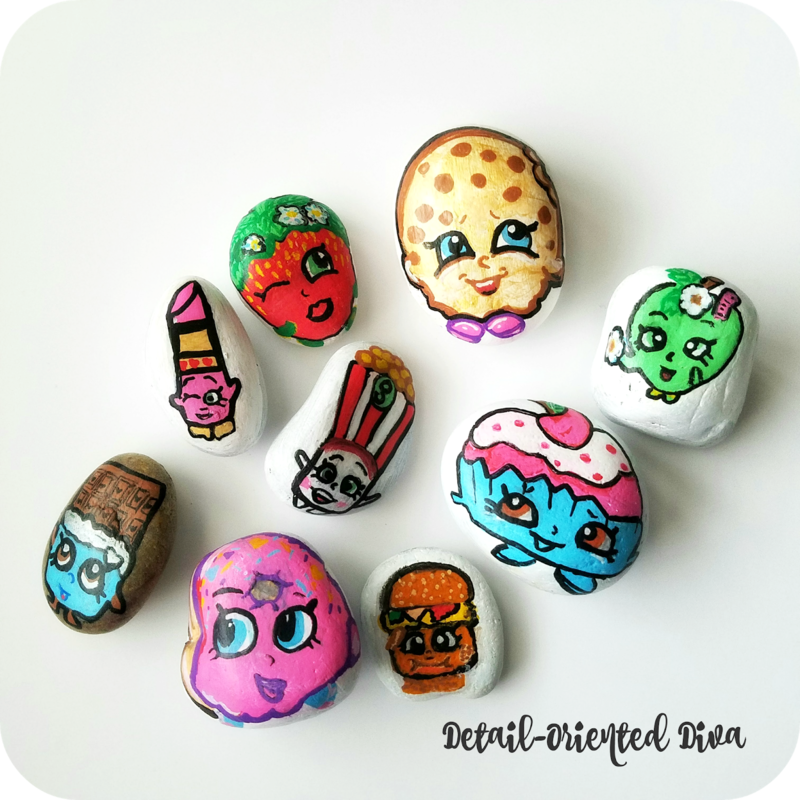 This post Shopkins Kindness Rocks appeared first at Detail-Oriented Diva.